ICO, STO, and ETO - Token Sales Explained In the traditional financial world, initial public offerings (IPOs) have long been a way for businesses to raise funds by selling off shares in their company. Initial coin offerings (ICOs), also known as token sales, are the cryptocurrency equivalent of IPOs - allowing cryptocurrency projects to raise funds (often for development purposes) by selling off their platforms' tokens. The terms initial coin offering and token sale are both rather general, but new and more specific terms - such as security token offering and equity token offering - have been adopted of late. In this guide, we'll walk you through the three most common types of token sale: the ICO, the STO, and the ETO. An ICO (initial coin offering), also known as a token sale, is any activity - public or private - where cryptocurrencies or cryptocurrency tokens are sold off. While you can participate in some ICOs with fiat currencies such as the Dollar or Euro, most ICOs allow you to purchase tokens in exchange for Bitcoin, Ethereum, or other cryptocurrencies. ICOs are often conducted at the beginning of cryptocurrency projects, with the idea that any funds raised will be used to support the projects during their development. In exchange for their investment, investors receive a token with some value offering (such as a utility token, which can be redeemed in exchange for certain functionality, or a security token, which represent a share in some asset). The majority of ICOs are conducted on the Ethereum network. With these ICOs, investors often receive an ERC-20 token - in other words, a token that runs on the Ethereum network - in exchange for their investment. In some cases, cryptocurrency projects may later choose to create their own token on a separate network - in this case investors must later exchange their old, ERC-20 tokens for the new ones; this is called a token swap. An STO (security token offering) is a specific type of ICO where the token offered is a security token. 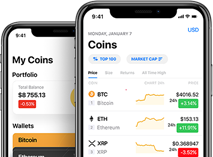 Security tokens are any cryptocurrency tokens which represent a share in some asset, including companies, currencies, and commodities such as gold. Unlike utility tokens, security tokens can't be directly redeemed in exchange for certain functionality; instead, they can simply be traded, and, in some cases, offer an ongoing return on investment. STOs are of particular interest, since many countries have specific regulatory bodies for securities. As such, security tokens and their offerings are subject to the scrutiny of these bodies, which is why some choose to distinguish STOs from other ICOs. What Is an ETO (Equity Token Offering)? An ETO (equity token offering) is also a specific type of ICO, and in fact a specific type of STO, where the token offered is an equity token. Equity tokens are cryptocurrency tokens which represent a share in a company or venture. Since every equity token is also a security token, equity tokens and their offerings are subject to the same regulatory scrutiny as security tokens and their respective offerings. Compared to other securities, equities have some unique regulatory nuances, which is why some choose to distinguish ETOs from other STOs. For example, most traditional equities require ownership in the name of a physical person or other legal entity - definitely not in the name a cryptocurrency wallet - so equity token offerings often have to collect investors' personal data. Aside from security and equity tokens, there are other token classifications - such as utility tokens. However, these tokens not to have so many regulatory concerns, so investors don't find it as important to distinguish them from other ICOs. Start and end date: Almost all token sales are limited time offers, which means they have a start and end date between which you can take part. Soft and hard caps: Token sales come with two caps for the funds raised. The soft cap is the total value of investment after which the token sale will be considered successful, while the hard cap is the total value of investment after which the token sale will end. Token distribution: Only a certain fraction of the project's tokens may be sold off in the token sale. The remaining tokens might be assigned to the team members or later funding. Price: Token sales may have different prices per token. Pursue upcoming cryptocurrency projects in their early stages, keeping an eye out for any mention of a token sale. Crawl through token sale listing websites to find projects with an upcoming token sale. You can find plenty of token sale listing websites on the internet, but some examples include ICO Hot List, Top ICO List, and ListICO or our ICO page. Choose the number of tokens you want to purchase. Enter the wallet address where you'll receive your tokens. If necessary, such as in STOs or ETOs, verify your identity. Pay for your tokens and wait for them to be sent! As you can see, participating in a token sale is extremely straightforward - hence their popularity! Until now, verifying your identity hasn't been necessary for most token sales; however, growing pressure from regulatory bodies is making this step increasingly relevant. For the most part, yes! Regulation in the cryptocurrency space is just getting started, but for most token sales - excluding STOs and ETOs - there are very few regulatory or legal concerns to consider. Even then, most regulatory and legal concerns apply to the team hosting the token sale, so you shouldn't have anything to worry about if you're just a casual investor. If you later sell your tokens for a profit, then you may well have to pay taxes on any profits.